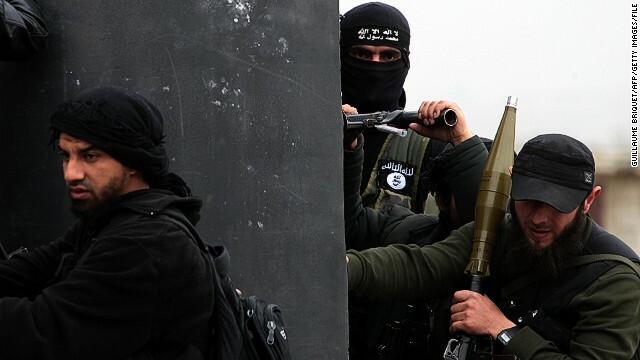 A terror group too brutal for al Qaeda? Editor's note: Peter Bergen is CNN's national security analyst, a director at the New America Foundation and the author of "Manhunt: The Ten-Year Search for bin Laden - From 9/11 to Abbottabad." When even al Qaeda publicly rejects you because you are too brutal, it's likely a reasonable indicator that you are. A long simmering dispute between "al Qaeda Central," headed by Ayman al-Zawahiri, and the most brutal al Qaeda affiliate in Syria, generally known as the Islamic State of Iraq and Syria, surfaced publicly on Monday. On jihadist websites, al Qaeda's central leadership posted a notice saying ISIS "is not a branch of the al Qaeda group." 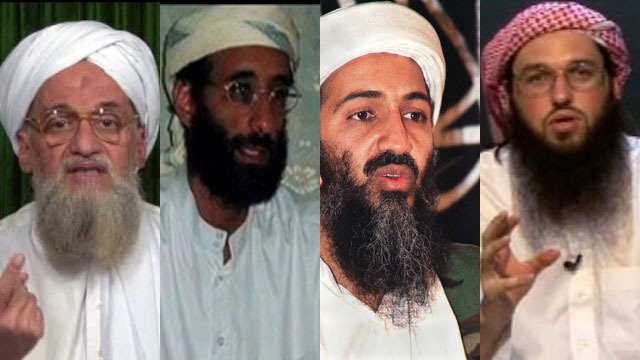 It is the first time in its quarter century history that al Qaeda has officially rejected one of its affiliates. Editor's note: Peter Bergen is CNN's national security analyst, the author of "Manhunt: The Ten-Year Search for bin Laden - From 9/11 to Abbottabad" and a director at the New America Foundation. Jennifer Rowland is a program associate at the New America Foundation. 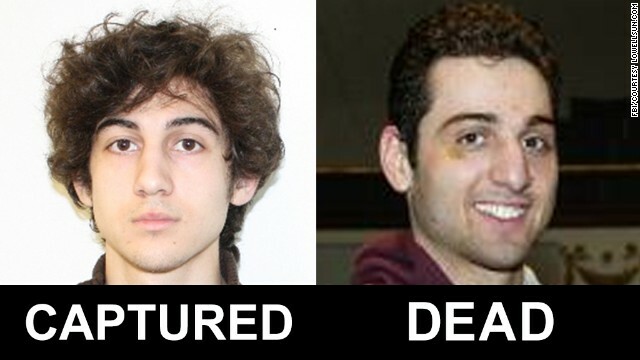 We don't yet know how or why the Tsarnaev brothers, the alleged Boston Marathon bombers, decided to carry out their attacks, but a look at how their stories correlate with those of some other terrorists living in the West could provide some answers to the questions that many are now asking about them. 1. How could someone who grew up in the United States become a terrorist? Major Nidal Malik Hasan, who killed 13 people at Fort Hood Army Base in Texas in 2009, was born and raised in Virginia. He self-radicalized, in part, over the Internet, which he used to reach out to the Yemen-based preacher Anwar al-Awlaki for advice about whether it is permissible for Muslim soldiers in the U.S. military to kill their comrades in the name of jihad. 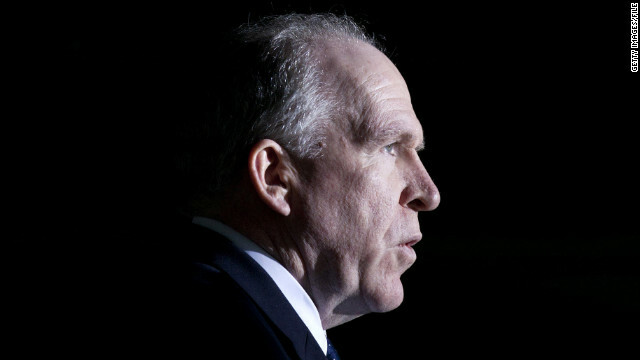 President Barack Obama has nominated his top counterterrorism adviser, John Brennan, to be the next director of the CIA. If there is an emerging Obama doctrine to deal with the threat from al Qaeda and its allies, it is clearly a rejection of the use of conventional military forces and a growing reliance instead on the use of drones and U.S. Special Operations Forces - and Brennan has been central to Obama's policy. One of Brennan's most significant legacies in the four years he has been the president's principal adviser on terrorism is the American drone campaign against al Qaeda and its allies in countries such as Pakistan and Yemen - one that has shifted focus significantly in the past year or so. The steadily increasing rate of drone strikes in Yemen over the past two years shows that the CIA's drone war - rather than declining - is shifting from one part of the world to another. Brennan has been the key architect of this policy. The Arabic-speaking Brennan, who was once CIA station chief in Saudi Arabia, in a sense became the "case officer" for the Yemen "account," traveling to Yemen seven times since al Qaeda in the Arabian Peninsula sent the so-called underwear bomber to try and bring down Northwest Flight 235 over Detroit on Christmas Day 2009. 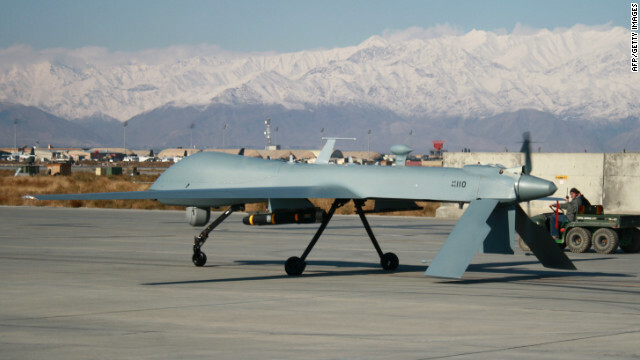 A decade ago, the United States had a virtual monopoly on drones. Not anymore. According to data compiled by the New America Foundation, more than 70 countries now own some type of drone, though just a small number of those nations possess armed drone aircraft. The explosion in drone technology promises to change the way nations conduct war and threatens to begin a new arms race as governments scramble to counterbalance their adversaries. Late last month, China announced that it would use surveillance drones to monitor a group of uninhabited islands in the South China Sea that are controlled by Japan but claimed by China and Taiwan. 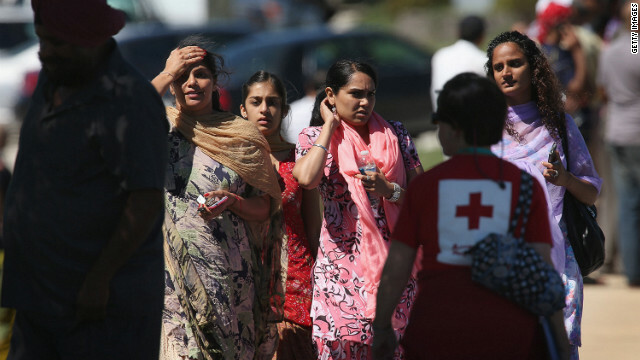 A gunman killed six people at the Sikh Temple of Wisconsin on Sunday. Right-wing extremist terrorism more dangerous than al Qaeda? Right-wing extremist individuals over the past decade in the United States were as likely to use violence as a means to express their political or social beliefs as those motivated by Osama bin Laden's ideology, writes CNN's national security analyst Peter Bergen and his colleague at New America Foundation, Jennifer Rowland. In the analysis on CNN's Opinion page, Bergen and Rowland say that in the last decade, right-wing and left-wing extremist groups and individuals have been far more likely to acquire toxins and to assemble the makings of radiological weapons than al Qaeda sympathizers. 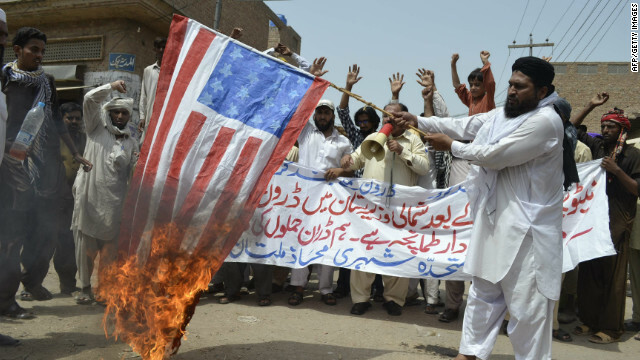 A man burns the U.S. flag in protest of a drone strike in Multan, Pakistan, on July 7. Civilian casualties from U.S. drone strikes in Pakistan have dropped precipitously, observes CNN national security analyst Peter Bergen in a new posting on CNN's Opinion page. 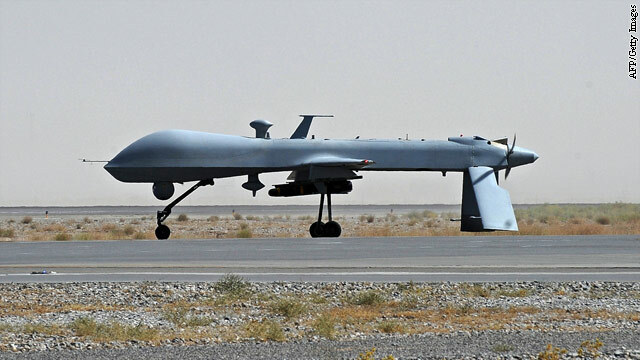 According to data collected by Bergen and his colleages at the New America Foundation, the estimated civilian death rate in U.S. drone strikes in Pakistan has declined dramatically since 2008, when it was at its peak of almost 50%. Today, for the first time, the estimated civilian death rate is at or close to zero. The data is generated by averaging the high and low casualty estimates of militant and civilian deaths published in a wide range of media outlets. The drop in the number of civilian casualties since 2008 came as a result of several developments, one of which was a directive issued from the White House just days after President Obama took office, to tighten up the way the CIA selected targets and carried out strikes. Bergen also writes that CIA's use of smaller, more accurate munitions and improved drone capabilities have helped. Pakistani officials now rarely base their criticism of U.S. drone strikes on the incidence of civilian casualties and instead point, quite reasonably, to another objection: the U.S. violation of Pakistan's national sovereignty, Bergen notes. The Obama administration maintains that international law does not prohibit the use of lethal force against an active enemy "when the country involved consents or is unable or unwilling to take action against the threat." EDITOR'S NOTE: This is the first in a series of opinion articles about national security by participants in the upcoming Aspen Security Forum. Security Clearance is a media sponsor of the event which is taking place from July 25-28 in Aspen, Colorado. To end World War II, Franklin D. Roosevelt, Winston Churchill and Joseph Stalin demanded an unconditional surrender from the Nazis. But there will be no such surrender from al Qaeda. The group is not a state that is capable of entering into such an agreement, even if it wanted to do so, which seems highly unlikely. So we are left with a choice: We can continue fighting al Qaeda indefinitely and remain in a permanent state of quasi-war, as has already been the case for more than a decade now. With all the accusations and demands for investigations over national security leaks, CNN national security analyst Peter Bergen considers how much did the leaks really hurt U.S.
After all, Bergen notes on CNN's Opinion section, when it comes to revelations about how U.S. and Israel planted the Stuxnet virus, the Iranians know that their problems with the centrifuges at Natanz are caused by cyberattacks and have publicly said so for the past two years. CNN national security analyst Peter Bergen breaks down the numbers behind the ramped up covert war in Yemen and says that it is a strategy that the Obama administration could very well increase in use beyond what has already been done. Bergen notes in his article on CNN's Opinion page that the changes comes because al Qaeda's Yemen-based affiliate, al Qaeda in the Arabian Peninsula (AQAP), has over the past three years attempted a number of terrorist attacks against the United States, launching it from relative obscurity to the top of the U.S. government's list of national security threats. The Obama administration has launched an estimated 28 drone strikes and 13 air strikes in Yemen, according to data compiled by the New America Foundation from reliable news reports. By contrast, the administration of George W. Bush only launched one drone attack in Yemen. 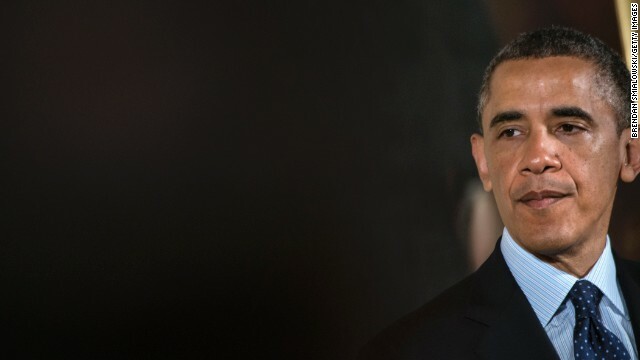 Obama has ramped up even more, Bergen notes, with the depature of Yemeni president Ali Abdullah Saleh who stepped down in February. 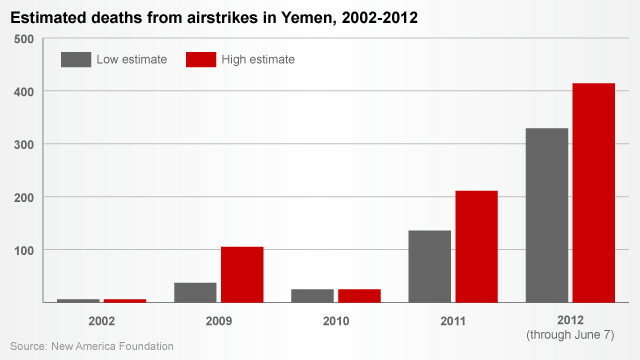 Since then, the American drone strikes and airstrikes have increased. In just three months, the United States launched an estimated 20 strikes. By comparison, there were just 18 attacks in the previous two years.